We should say this upfront: we’re a fan of Soho East. With its serene landscape, gentle harbour breeze and appetising aromas of all sorts wafting throughout the neighbourhood, this cluster of waterside blocks filled with eateries and drink stops is the perfect spot for daydreaming and reflecting. Which, we should also say, makes it a perfect home for a tea house like Teavers – a sweet new shop. The cosy café is not so much a tea shop as it is a tea gallery, stocked with an amalgam of gadgets, accessories and, of course, tea leaves for lovers of the hot brew. The owner is a tea lover who has spent plenty of hours pondering the best ways to brew tea to bring out the best of the leaves’ special flavours, and it shows in the tea experience that Teavers offers. Before making our selection, we’re offered a tray of leaves encased in glass jars, allowing us to waft the different aromas. The varieties range from green tea to oolong to herbal infusions and Special Blossoms. We try out the refreshing white lotus ($48 a cup, $68 a pot) from their Special Blossom collection. It’s fragrant and hits every right note. We also opt for a cup of the therapeutic ginseng oolong ($68 a cup, $88 a pot), whose gentle, ginger-scented, warming layers unfold sip after sip. 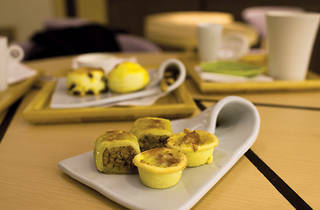 To accompany our drinks, we order some scones ($32), sausage rolls and salami tarts (both $28 a plate) – nothing to write home about, but they pair well with the teas. 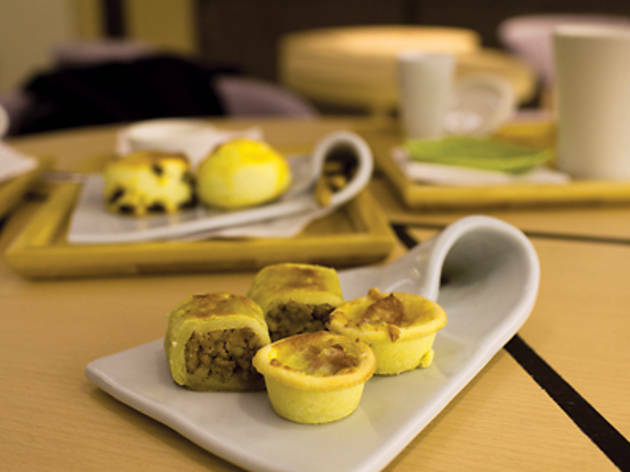 Teavers Shop GB22, Site B, Soho East, Lei King Wan, Sai Wan Ho, 2350 3828; teavers.com. Tue-Fri 10am-7pm & Sat-Sun 10am-9pm. Closed Mon. For two: around $200.